This facility is owned by Merivale Retirement Village. 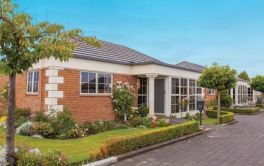 Merivale Retirement Village, Merivale in Christchurch is stated as "luxury retirement living set amongst elegant gardens and lawns, surrounded by comfort and companionship. 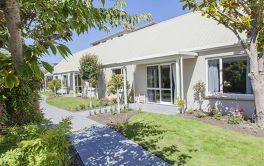 Situated in one of Christchurch's most desirable suburbs, the village enjoys a uniquely cultured environment that is both genteel and relaxing." Their website continues by saying "With a wide range of accommodation options available, you can choose the retirement lifestyle that suits you best. 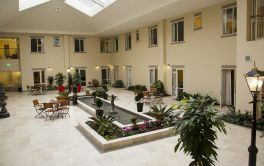 For fully independent living we offer well-appointed villas with stunning garden outlooks and easy access to recreational facilities and social activities." For those requiring more support, "our friendly, professional staff provide personalised levels of care directly to your choice of apartment, studio, the rest home or onsite hospital. As a resident you will enjoy: A beautifully presented and inviting home; Peace of mind security and 24hr emergency button; Opportunities for friendship, and social occasions..." and more. × Have you visited this facility? Help others who are looking for a place by posting a review on MERIVALE RETIREMENT VILLAGE or review a different facility now. [Name withheld at users request]MERIVALE RETIREMENT VILLAGEIndependent living. More staff who can understand English. Food, entertainment, cleanliness [&] caring staff. Very friendly staff. "Beautiful" food.